I have this set of pottery that i was wondering if anyone could recognise the signature on the bottom of each? 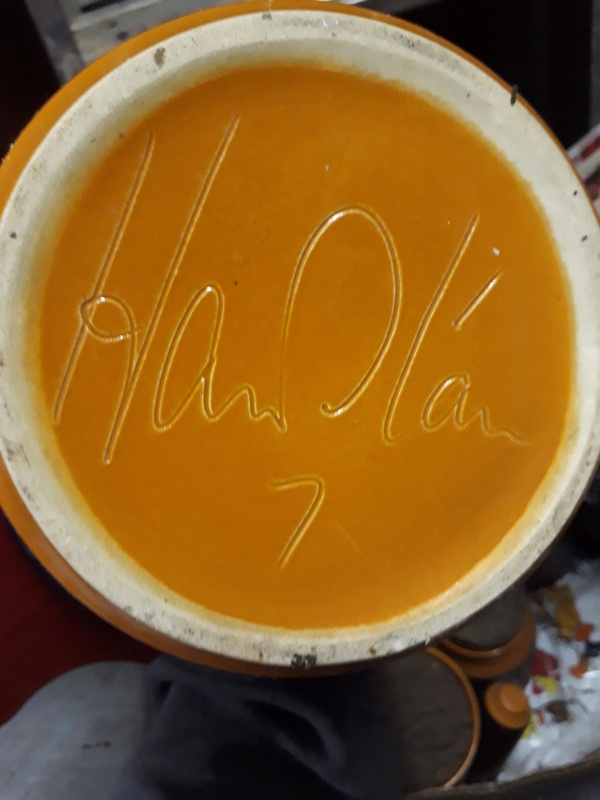 I have uploaded the signature as well as the pots themselves. I would appreciate any help as i have not been able to find anything elsewhere online. p.s. i am not very good at the internet, so i think i have got the photos below. 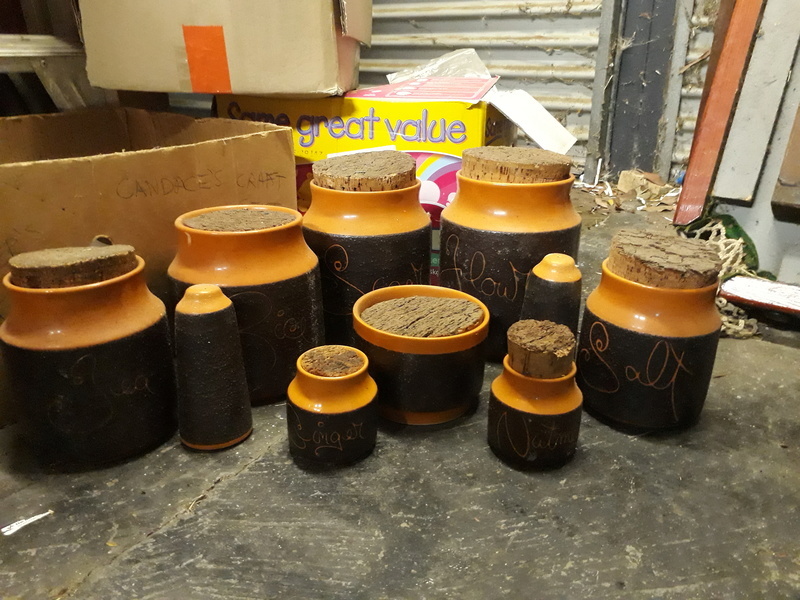 Hanstan was a pottery started in 1962 by Hans Wright (born in the mid 1930s) and Stan Burrage (1935-1987) at Stan's parent's home and poultry farm in Springvale, Victoria. Both had previously worked as salesmen. Hans had completed an art course at Melbourne Technical College, now RMIT University, and had helped a fellow student make jewellery, but apparently had no other experience with pottery making. After the partnership was dissolved in 1964, Hans and his wife Patricia continued the pottery at an industrial site on the Mornington Peninsula until well into the 1980s. Hans was a champion archer and Patricia managed the pottery when he was away at competitions. Work is marked 'Hanstan' or 'Hanstan Studio' (incised) or 'Hanstan Australia as a printed underglaze stamp.